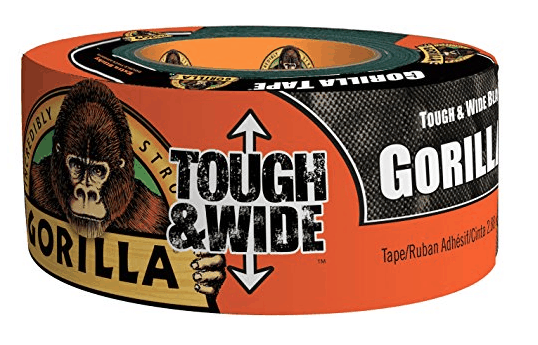 / Gorilla Tough Duct Tape – Super Strong Duct Tape on Steroids! 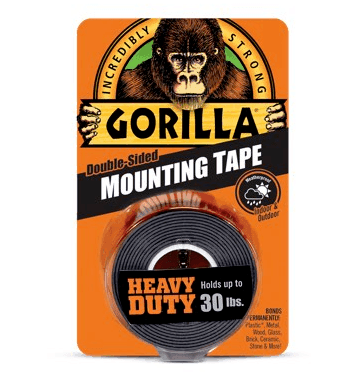 Perfect for camping and hiking holidays or just around the house, Gorilla Duct Tape is one of the best heavy duty duct tapes you can get. 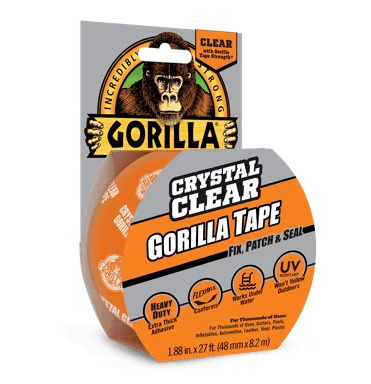 In this review, we look at why Gorilla Tape takes duct tape to a new level. The list of its uses is virtually endless. Why am I reviewing Duct Tape? Why is this tape better than the others? The Verdict - Great for Emergency Repairs! Good Question! I came across this tape at a recent Product Expo and was blown away by how well it handles wet environments. 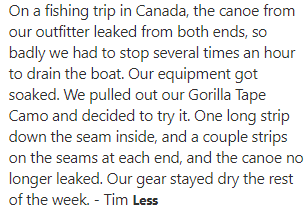 Gorilla Tape lasts a lot longer than regular duct tape even around moisture. 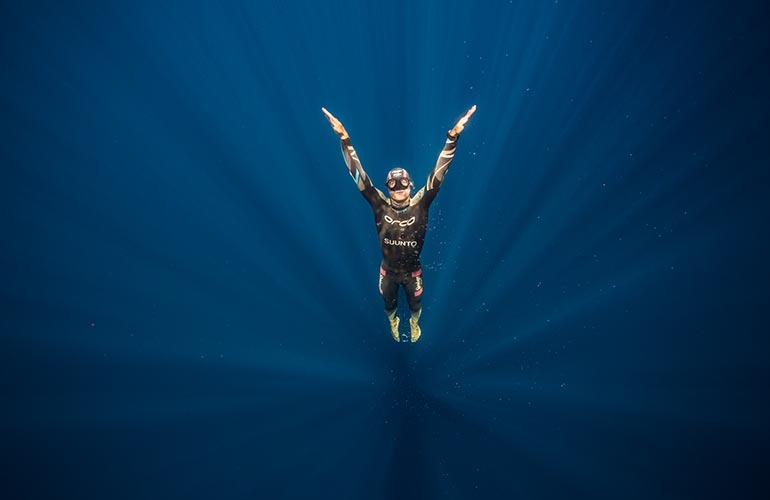 This makes it perfect for anyone who goes camping, scuba diving, or kayaking, etc. It should be part of every household emergency and travel kit. Gorilla Tape can be used both indoors and outdoors. 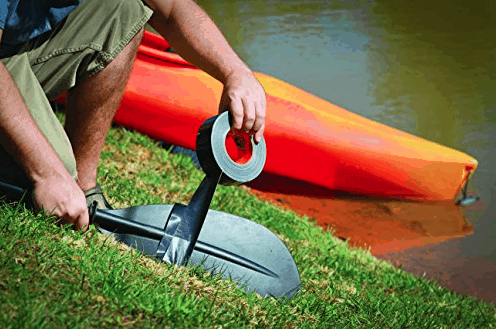 It's been designed to stick to most rough, uneven and unforgiving surfaces. This tape has a tough all-weather shell and also withstands UV rays and temperature extremes better than most other tapes. It won't break down in the sun as quickly as other tape, and copes with heat, colder temperatures and humidity much better. It has a highly concentrated rubber based adhesive. This makes it two to three times as thick as traditional duct tape. The result is a tape that fills gaps, penetrates rough surfaces and will stick to just about anything. The tight weave contributes to its heft, but Gorilla Tape can still be torn by hand. Made with double thick adhesive and a strong reinforced backing, it’s the strongest and toughest duct tape. It's not a direct replacement or permanent repair but it will get you out of trouble. 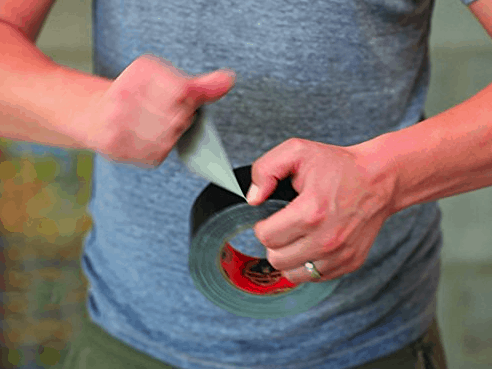 This tape sticks to surfaces that ordinary tapes can't hold onto. It easily sticks to uneven and rough surfaces including stone, wood, stucco, fabric and brick. 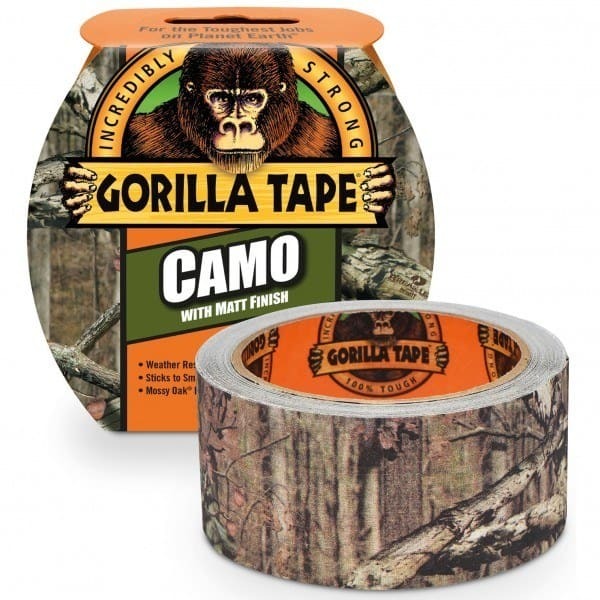 Gorilla Duct Tape comes in a variety of lengths and widths. There are tapes designed specifically for different situations and environments so there will be one perfectly suited to your needs. Even though it's thick, this tape can be torn by hand, or cut to size with a knife or pair of scissors. It's important to clean the surface you're about to apply it to, and brush off any loose and dirt. Smooth out any pockets or rolls in the tape as you apply it. Below is a comparison of the range of Duct Tapes including sizes, colors and where they are suitable to be used. Indoor or outdoor use and made to stick to rough and uneven surfaces like wood, stone, stucco, plaster, brick and more. 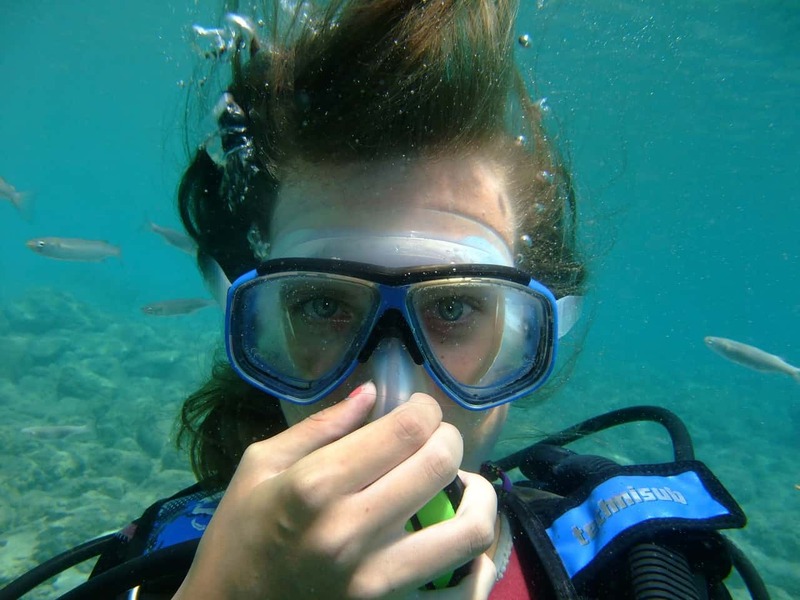 Indoor or outdoor and can be used underwater. Will form a permanent bond. Ideal for applications in the field including duck blinds, tree stands, tent repairs and more. Providing a weatherproof, airtight bond. Fix, patch and seal almost any surface. 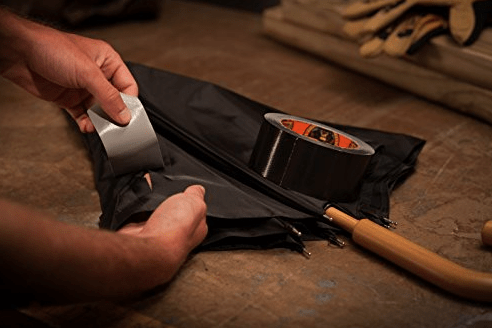 Mounting items that need a long-lasting, weatherproof bond. Holds up to 30 lbs (13.6 kg). 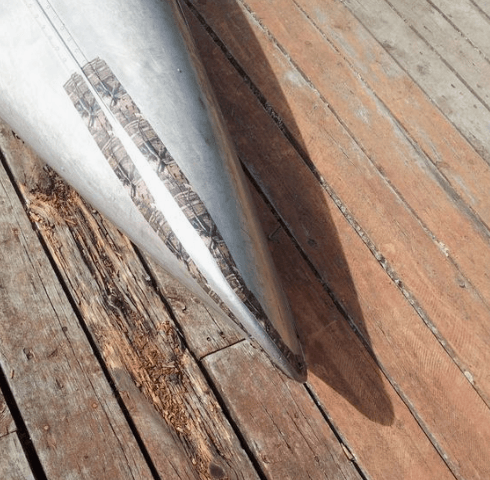 Mounting items that need a long-lasting, weatherproof bond. Rolls hold up to 15 lbs (6.8 kg ) and Squares hold up to 7 lbs (3 kg). 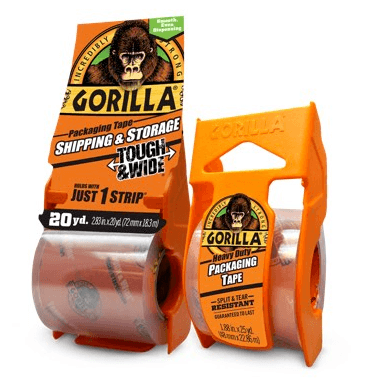 Gorilla Packaging Tape is perfect for shipping, moving and storage. One of the most versatile duct tapes that I would recommend for your Emergency Kit measures 2.88 inches across by 30 yards long (or approximately 7.3 cm across x 27.4 meters long) - this is enough to get you out of trouble when you need it most, and at a great price. 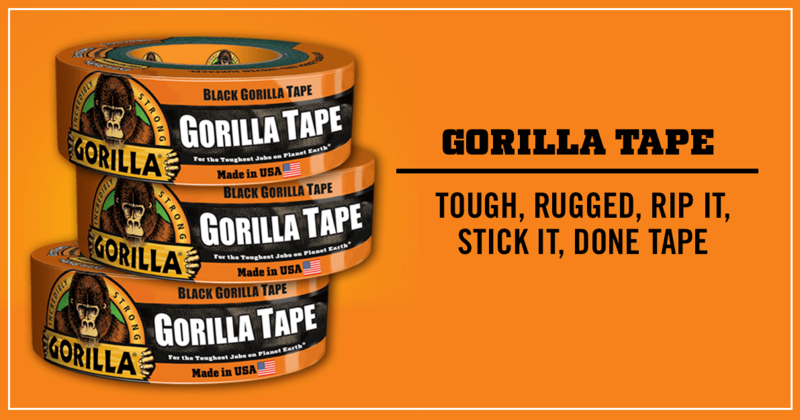 To retain its outstanding adhesive quality, store Gorilla Tape in a cool, dry place. Keep out of direct sunlight. If possible, store the tape vertically (rather than laying it flat), on a hook or on wax paper. If you purchase multiple rolls (as these work out cheaper), keep the extra rolls protected in their wrapping until you need to use them. 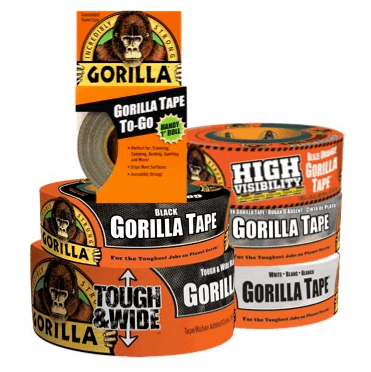 Gorilla Tape works best at temperatures above 32°F (0°C). Wherever possible, use the tape at room temperature for best results. If the tape should freeze, bringing it back to room temperature will restore its qualities. Gorilla Tape can be removed but you'll need a lot of elbow grease. It may leave some residue. To remove any excess residue you may find it easier to use the tape itself as a blotter. 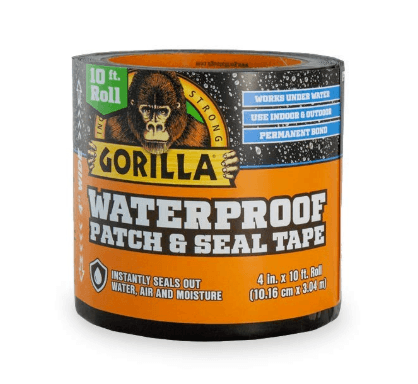 Note: Gorilla Waterproof Patch and Seal tape is not designed to be removed. This tape forms a permanent bond. It will damage any surface if you try to remove this tape once its been applied. This includes stripping paint from walls. Why waste your time with lesser tapes? 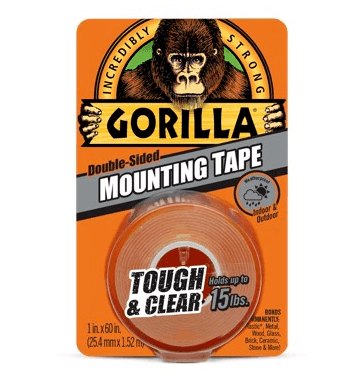 Gorilla Tough Duct Tape has a whopping 4.8 out of 5 stars rating on Amazon. This is a fantastic tape that just does the job. Make sure you store some around the house but also pack some on your next holiday adventure. This comes in a range of widths and lengths to suit your purpose, all at a great price. The toughest and best duct tape on the market is Black Gorilla Tape. You’ll pay a little more for it, but it’s worth the cost. Enjoy its strength and durability! What can happen if one uses gorilla tape as electrical tape on kitchen light fixture…short term and long term? I have used it many times for this type of job, but I wouldn’t normally recommend it, as it is thicker and takes up more room. Electrical products such as light fixtures are usually very small in the areas that electrical wiring runs, and getting the Gorilla Tape to fit into such an area could be quite a problem. However, there is no reason not to use it short or long term, as it will last as long as standard electrical tape will last. You can stick bowling balls to fridge doors. This Gorilla tape is so tough, you can stick bowling balls to fridge doors. I have it at the ready at all times, as I know there will be a chore that I can use it for daily. Couldn’t and wouldn’t be without it.